This morning while driving to work, cruising along, the traffic seemed heavier than normal for 5:15am. 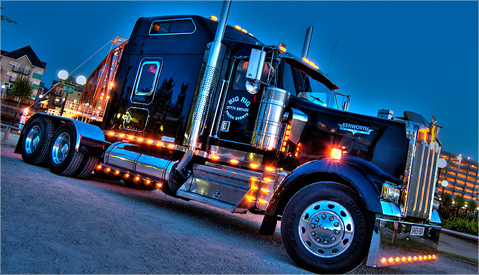 Looking in my rear view mirror, I saw the pretty orange lights of a big rig truck. The poor guy was trying to maneuver through the morning commute, cars full of folks that I am confident had not yet been caffeinated to complete awareness of their surroundings. Like that of a ‘Chess’ game, I figured “If I move over one lane, move forward around this little white car, and return to my original lane, I could make room for the big truck to get around.” Off I went, and NOT going over the speed limit I might add. Doing so, the truck driver saw the ‘move’ and made his own advance. As we continued on down the freeway for a few minutes, just as I began my exit off, the truck driver passed on by, but NOT without a reaching out of his hand and the ‘wave’ of thanks. Do we look and ‘see’ those around us? Are we aware? Do we CARE? Do we see the need and heed? Or do we see and ignore or hastily say “Go around me!” While at it, “CROWN ME!” (Chess game…ouch!) Paul speaking to the Christians in Phillipi, proceeds the above verse stating: “…being of the same mind, maintaining the same love, united in spirit, intent on one purpose. Do nothing from selfishness or empty conceit, but with humility of mind regard one another as more important than yourselves..” V2-3 As we cruise through this life, may we be aware, may we look and see how we can help others, whether that help be small or large. Taking the time to offer a smile, holding the door while they carry heavy bags of groceries, allow someone to go ahead of us in line, give a word of encouragement, take a meal, hold them, laugh with them, cry and pray. May we have a God focus… others. This entry was posted on August 5, 2014 by Inspired Fountain. It was filed under * Miscellanous Stuff and was tagged with God focus, seeing and helping others.